On Wednesday, 10th of April 2019, the scientific community breathed a sigh of relief on a day that will long live in the history books. The first photo of a black hole was released to the public, giving validation to one of the most consequential theories in physics - Einstein's Theory of Relativity. But behind every scientific discovery, big or small, is the story of those dedicating their lives to discovery. This time, a female graduate is leading the charge. Just three years ago as a graduate researcher at Massachusetts Institute of Technology (MIT), Dr Katie Bouman led the development of the algorithm that would lead to the production of the first-ever image of a black hole. Dr Bouman could not hide her delight. Her profile picture on Facebook was captioned: "Watching in disbelief as the first image ever made of a black hole was in the process of being reconstructed." "It required the amazing talent of a team of scientists from around the globe and years of hard work to develop the instrument, data processing, imaging methods, and analysis techniques that were necessary to pull off this seemingly impossible feat," she said. Many are comparing her feat on social media to that of Margaret Hamilton, who's code was instrumental in launching the Apollo mission into orbit in 1969 and into the next decade. Not only was Hamilton's work highly significant for the lunar landings, but also paved the way for women in science and technology. 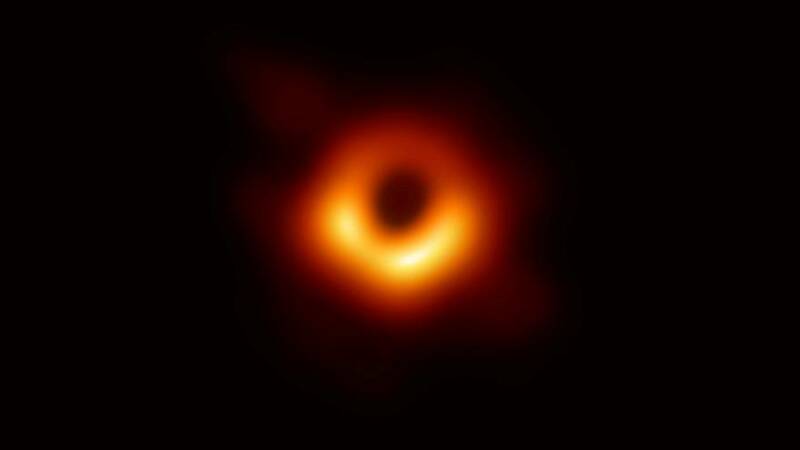 Dr Bouman told MIT News that taking the image of a black hole is "equivalent to taking an image of a grapefruit on the moon, but with a radio telescope". The image was collated by Event Horizon Telescopes located throughout the globe, from Chile to Antartica, while a team of scientists had to wait for just the right conditions to take the shot. The black hole was first theorised by Albert Einstein to explain areas in space of dense matter, where even light itself cannot escape. The now near century-old theory has been puzzling scientists for decades. Over the years, physicists and engineers had seen orbits, galaxies and move in a slingshot whirling motion around what many thought could be a black hole. Now, scientists can prove that Einstein was correct all along. Dr Bouman has been praised widely on social media, with the likes of Democratic Senator Alexandria Ocasio-Cortez weighing in, with this female scientist and her team adding their names to the list of the most unforgettable discoveries.